CareCredit® financing only a click away. Want to get a mommy makeover but not completely financially ready? At Guerra Plastic Surgery Center we make it easy for our patients to get the cosmetic procedures you want, so if the mommy makeover cost is the thing that is holding you back, we have flexible payment options for you! We accept Alphaeon® Credit and CareCredit® with an online application process that is easy and fast that lets you know if you are approved right away! CareCredit® and Alphaeon® Credit can give you payment options that can fit the budget you are looking for so you no longer need to put your Scottsdale mommy makeover on hold. You can start the process by clicking on the “Apply now” on the page. Have questions or need help applying, give us a call at (480) 970-2580 and one of our friendly team members would be happy to assist you. 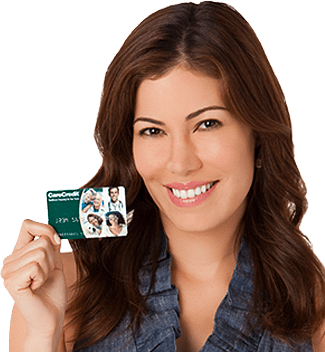 CareCredit® is the card designed specifically for your health and beauty needs such as your upcoming mommy makeover surgery. So now the decision is in your hands to get the look you've always wanted. CareCredit® offers both No Interest if Paid in Full for up to 12 months or Fixed Rate Financing for up to 60 months.